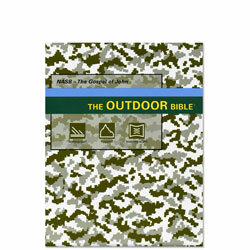 The DryText format folds similar to a map but works just like a book making this the most versatile Bible available. The updated NASB continues to be committed to accuracy, while increasing clarity and readability. A great gift for Soldiers.